What if you could offer a new way for candidates to learn about a role or your company? HireCast is an interactive recruitment video which takes the traditional job advert and turns it on its head, bringing your job description to life. Take a look at the video below to explore the top benefits of the interactive features of HireCast, such as showcasing your company’s culture, highlighting projects you’re working on and demonstrating your location’s facilities. Increasingly, video is becoming a major part of how candidates engage with content online, and should therefore be a key focus for your recruitment strategy. Not only do interactive videos allow candidates to self-select, but they also lead to higher engagement, more conversions and better employer brand positioning. 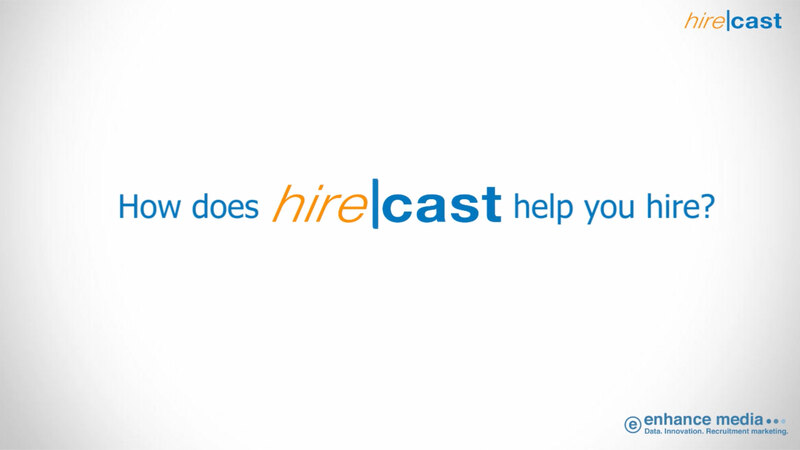 HireCast allows conventional job descriptions to evolve into the digital era quickly, effectively and at a low cost. We'll work in partnership with you to ensure the rapid delivery of video content, and implement interactive features which allow greater flexibility, input and control. You’ll also receive first-class support from our specialist video team who provide professional video editing and post-production services. Don’t miss out on attracting potential candidates – take your recruitment marketing to the next level today by using interactive recruitment videos. HireCast Interactive Video has completely changed the way we think about job descriptions and persuading candidates that John Lewis & Partners is a great place to work. As for the results the increase in great applications speaks for itself. Thanks Enhance!